Using brown paint, paint a tree trunk and a few branches. 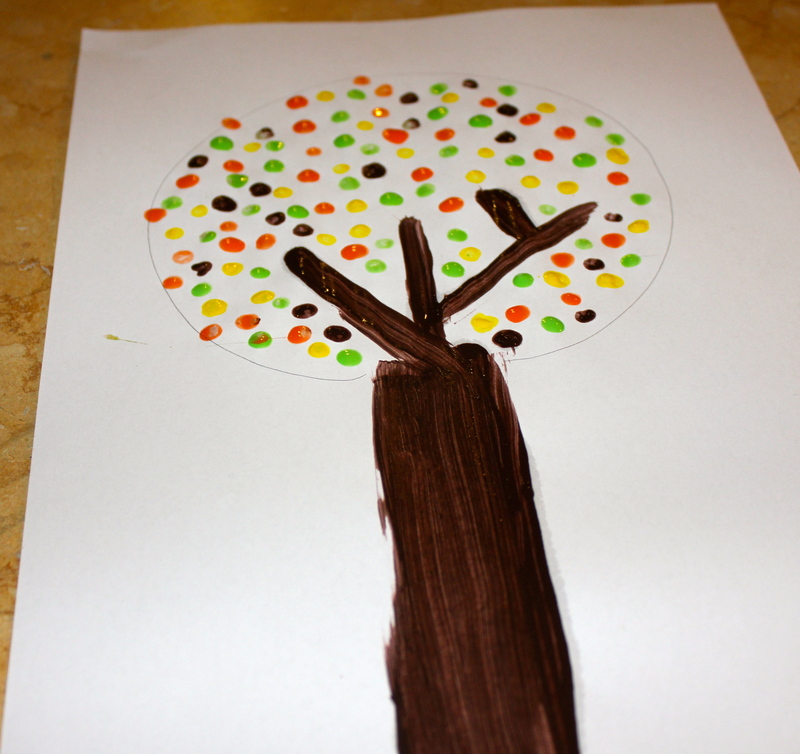 Use the pencil to draw a circle where you want your tree to reach. Dip the top of a Q-tip into paint and dab it on your tree. Repeat with all the colors you wish to use.